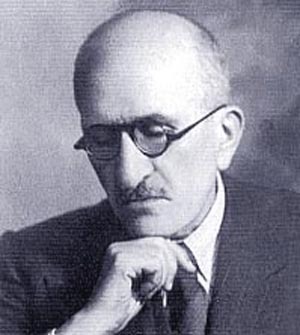 Hailed as the “Prince of Armenian Poetry,” Vahan Tekeyan was born on January 21, 1878 in Constantinople and spent his life working as a writer, newspaper editor, teacher and social worker. While many of his fellow writers and poets, including Siamanto and Taniel Varoujan were massacred on April 24, 1915, Tekeyan survived the genocide because he was out of the country when the atrocities were put into effect. He was, however, deeply affected by this tragic blight in the history of the Armenian people. His poems and sonnets examined the questions of evil, consequences of the genocide, diaspora and love (for one’s homeland or love for humanity.) Another constant theme in his work was his exploration of the psychological and emotional impact of the Armenian Genocide. Tekeyan died on April 4, 1948 in Cairo. His legacy, however, remains to the present day. In his honor, the Tekeyan Cultural Association — an international cultural organization which promotes Armenian culture and cultural activities — was established in 1947 in Beirut, Lebanon. Subsequently, the TCA opened the Vahan Tekeyan School in Beirut, Lebanon in 1951 and most recently sponsored the Berdzor No. 2 school in Karapagh, renaming it the Vahan Tekeyan School. Thank you to the Zohrab Center staff for providing these wonderful posts. Your center and blog are invaluable resources for Armenians and researchers.